"A Startup is the largest group of people you can convince of a plan to build a different future." There are many different formulas for creating a successful startup, but following a formula doesn’t guarantee success. In Zero to One: Notes on Startups, or How to Build the Future by Peter Thiel you will come to understand what makes a successful startup by looking at where it fits in the grand scheme of the business landscape. 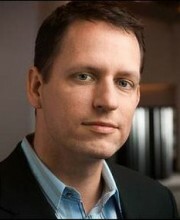 This is a book that was based upon a course Peter Thiel, cofounder of PayPal, taught at Stanford in 2012. It very much reads as if you were listening to a lecture. Peter begins by tackling the historical foundation of the .Com boom/bust, business principles and then moves on to real life case studies and business theory. This book takes a very academic approach to discussing startups as they fit or don’t fit into the greater business and financial landscape. from a fundamental business perspective why some startups are able to achieve great success, while other similar competitors fail. It is by no means a quick read, but one that you take time ingesting and pondering. This is not a typical quick bullet style business book, but rather an in-depth study of the business ecosystem and where/how startups fit into it. "…that is what a startup has to do: question received ideas and rethink business from scratch." There is a lot of mystery and romance around working for or owning a startup. Why do some work when they seem to bunk conventional business wisdom, why do others fail when all success indicators seem perfect? According to Peter if you understand the true business nature of startups by understanding where they lie within the grand scheme of all business, then you very clearly start to understand the why around which ones succeed and which ones fail. In this case it’s understanding that a successful startup inherently isn’t going to conduct business as normal. It’s going to inherently rework standard norms and create a solution or product that goes against the grain. That thought is a touch deceiving, but here is a perfect example to bring it to life. Uber. Who would have thought that the world needed any more hired drivers? Taxis and limos have been serving us all just fine for quite some time. Why would you think starting Uber would be a good idea? The founders of Uber didn’t buy into the conventional wisdom that the hired driver industry in its long-standing format was the only way to do business. They saw a need for an on-demand service that could be driven (no pun intended) by your smartphone, and provide people with the luxury of a limo service for cheaper than a taxi fare. They also reinvented how the drivers were hired, paid and did their jobs. "The best entrepreneurs know this: every great business is built around a secret that’s hidden from the outside. A great company is a conspiracy to change the world; when you share your secret the recipient becomes a fellow conspirator." people – those behaviors, likes, dislikes that people have but may not want to share. Discovering natural secrets are much harder to uncover, but Peter certainly doesn’t want to discourage people from looking. Creating a business shouldn’t be about making a quick buck, but rather about creating something that you are interested in and passionate about. The people secrets are a little bit easier to discover because they involve observing human nature. Voila, Airbnb! There is a little more to it, but it began because the founders saw a behavioral desire for both customers and homeowners. Finding your secret can be as simple as observing human behavior/desires and finding a way to deliver a product/service that fits it. "…no company has a culture; every company is a culture." There is a lot of talk these days about how to create the perfect company culture. This books discusses that shouldn’t be so much a concern, because it’s tied directly to the mission of the company. If you hire a team that is bought in and committed to the mission the startup is espousing then the culture is built in. People who work for startups are a special breed; they are risk takers, they are good working in and amongst uncertainty, and most of all they are cause driven. The key to creating that culture according to Peter Thiel is in finding and hiring likeminded people. Likeminded in the way they are committed to what the company is trying to achieve. A startup that wants to be successful has to embody what a team really is. A group of unique people that work together, not because they are nice or saints, but because they all believe in a greater cause—the company mission. Peter Thiel shows readers how to create or be a part of a successful startup by understanding the business essentials and illustrating how they can be properly executed. If you’re looking for a new fangled gimmick or advertising strategy to try, this is not the book for you. If you want a Masters class in how to properly build/run a business this is a book for you. What secrets are your products/services addressing?